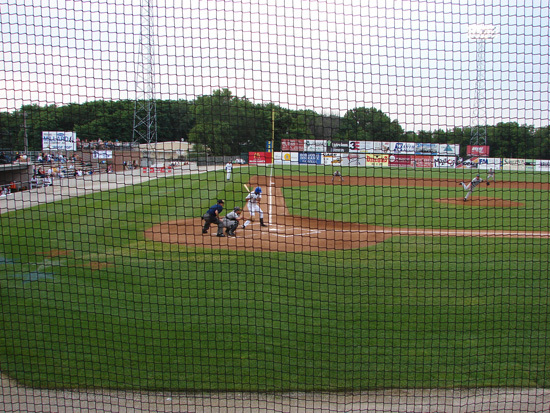 The Burlington Bees, a Single A affiliate of Kansas City, play at Community Field which was built in 1947. The seating for 3,200 was upgraded 6 years ago and work has been done on the field. 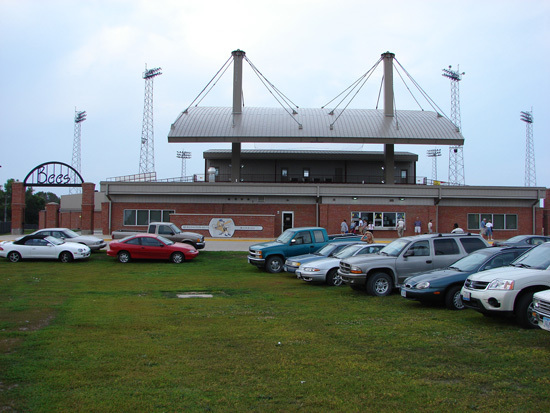 Before the beginning of the 2005 season an Extreme Makeover occurred that completely redid the front part of the stadium. 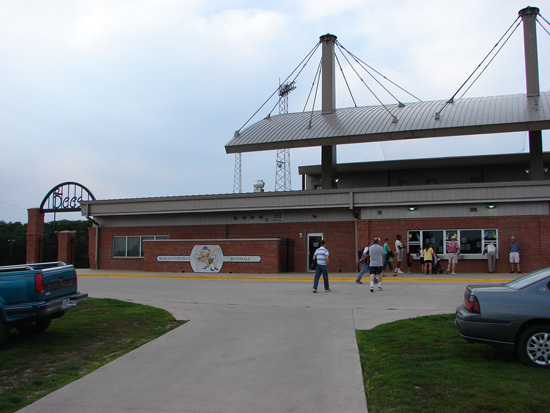 The concession area was completely redone, ticket windows, offices, and team store added to the front brick building. The restroom areas and teams' facilities received a brick covering. The broadcast/announcing area is twice the size of the previous area. Covering the broadcast/ announcing area and the back rows of the bleacher seating is a new canopy roof. Great improvements all the way around. 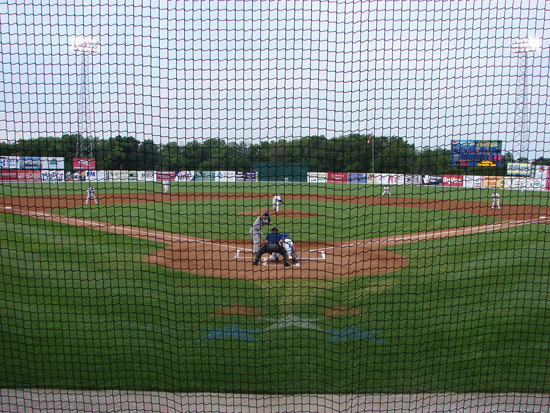 The field is in excellent condition with nice looking grass and warning track. The restrooms are air conditioned. 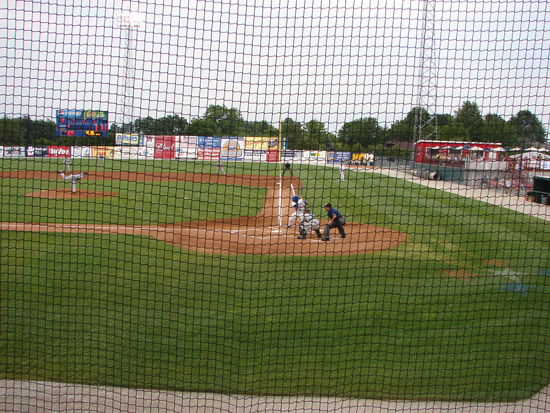 The main seating area goes from the end of one dugout to the end of the other dugout. 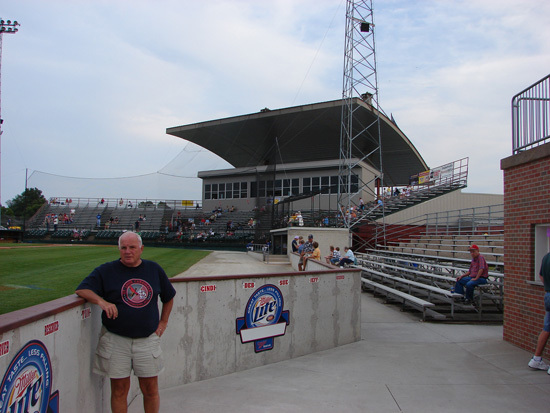 There is a free-standing bleacher section at the far end of the third base dugout and a concession stand beyond that with seating on the roof. 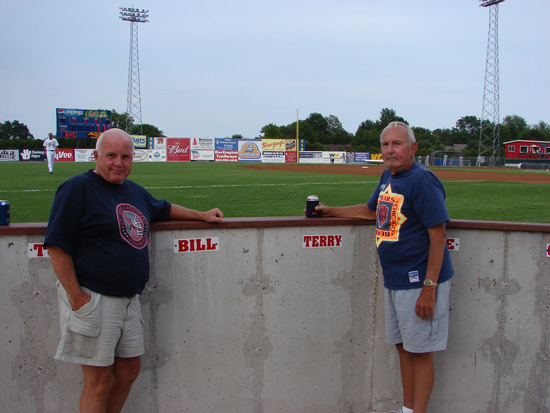 In front of the concession stand is a wall that has reserved standing room, Bill and Terry are standing by their locations. The field slopes down to the wall, but you can't lean over it to pick-up foul balls. There is a party deck down the first base line. 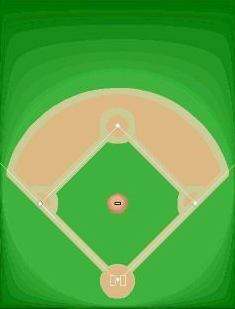 There is a very large amount of foul territory. The Bees were playing the SW Michigan Devil Rays from Battle Creek, MI. 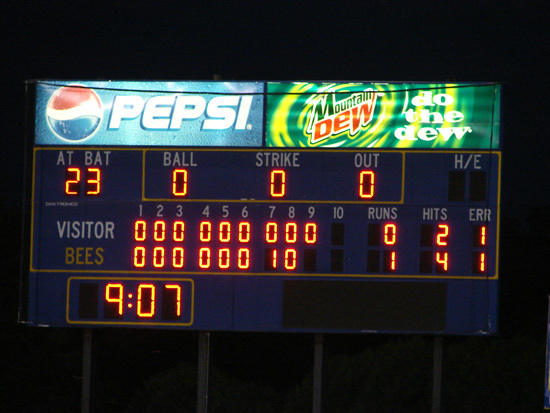 The Bees won on a wild pitch in the 7th inning, scoring the only run in the game. 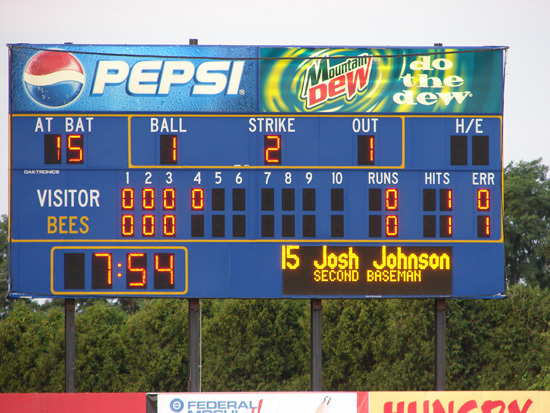 The box score was Devil Rays R-0, H-2, E-1 and Bees R-1, H-4, E-1. 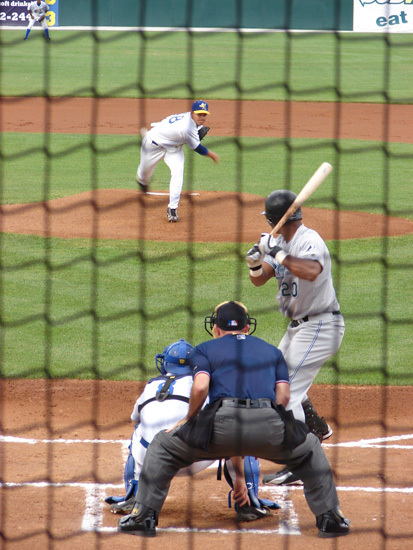 Good pitching on both sides except for the one wild pitch. The field lines are RF-318', RC-365', CF-403', LC-375', & LF-338'. 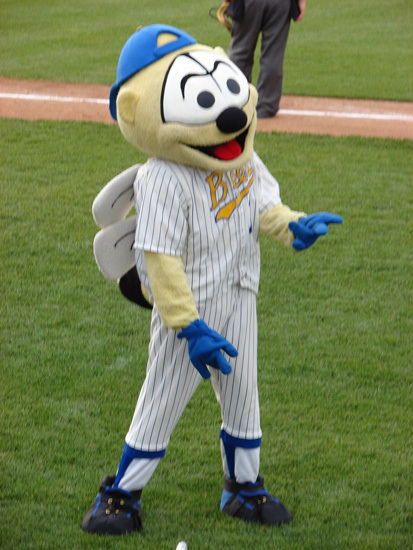 Buzz is the mascot. The attendance was 1,037 and the game was completed in 2 hours and 7 minutes. 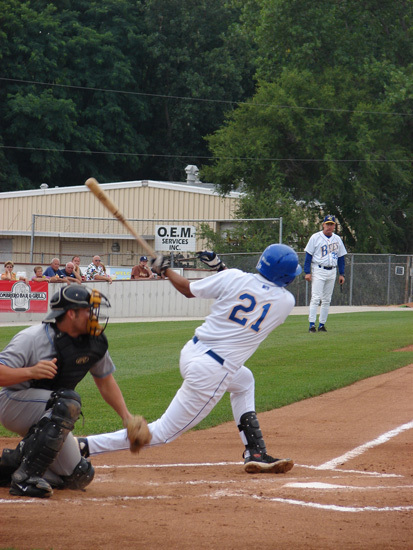 In the top of the ninth a towering foul ball was hit over the foul fence to the left of the visiting dugout. It was headed our way. Jim was sitting in front of Andrea with his nephew Ben, Andrea's sister Marcia was on Andrea's right and brother-in-law Tom was on Marcia's right. Tom reached over, bent over Marcia to catch the ball, but it went off of his fingertips and hit Andrea on her upper right arm, before bouncing off of Marcia's back and down the aisle. Andrea was in pain, but was able to smile for the picture. 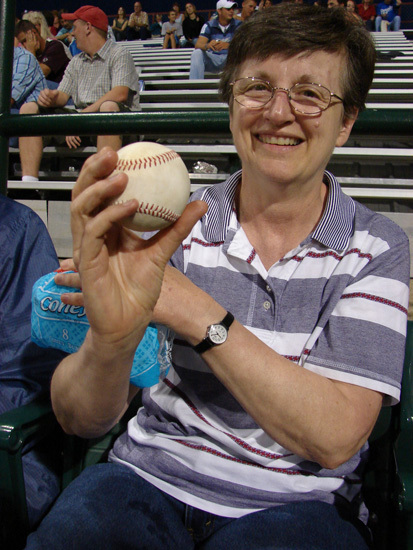 The ball had bounced away, but in a few minutes a young teenaged boy brought it back to Andrea. This was a big surprise and a nice thing to do. 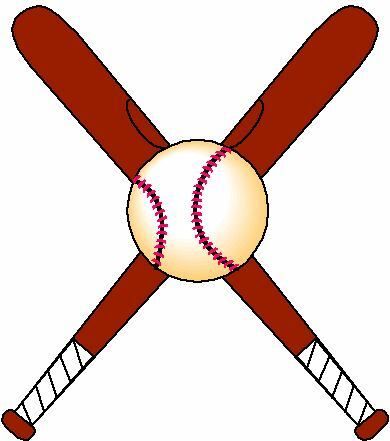 Usually the person who is hit never sees the ball again. The staff was concerned and got some ice as quickly as was possible. The following day Andrea had a very colorful bruise. So she can attest to the fact that when a player gets hit they will have immediate pain and a bruise the following day. 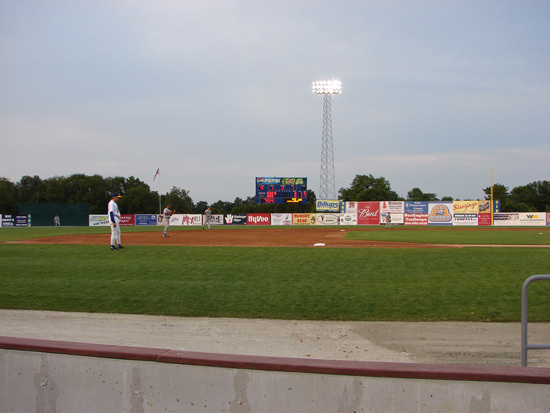 2007 affiliated with Kansas City Royals and new logo. 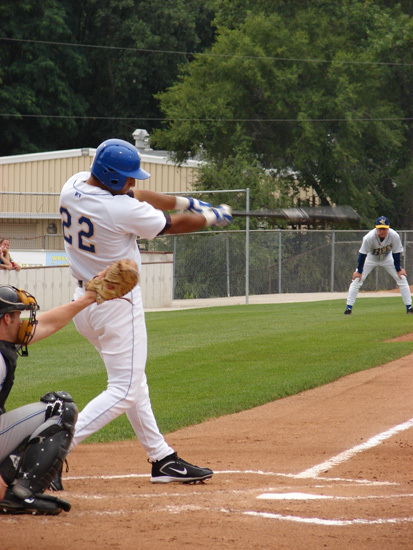 2010 new name Burlington Royals and new logo.